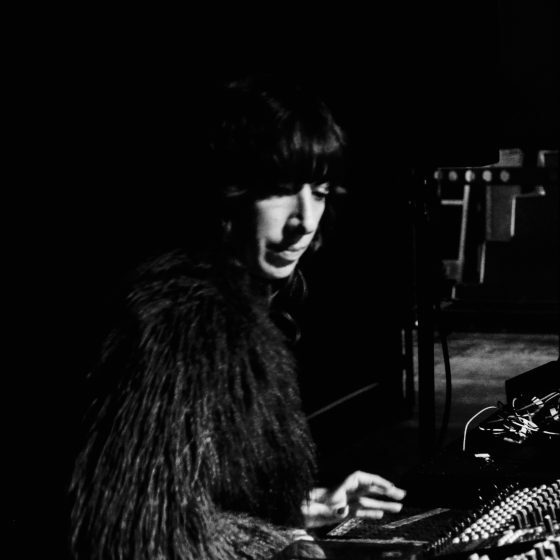 Lady Starlight (b. Colleen Martin, 1975) is an American DJ and performance artist, whose keen focus on authentic communication has made her one of the more original and colorful artists to be active in multiple media. True to her namesake, she has followed her own star by choosing to integrate a number of different influences – performance / body art, progressive rock and metal, and electronic dance music – into a single eclectic, but coherent, personality. Fans of Lady Gaga will know Lady Starlight as the opening performer for the last three Lady Gaga tours, including the acclaimed 2014 ArtRave tour whose U.K. shows sold out within minutes of being announced. 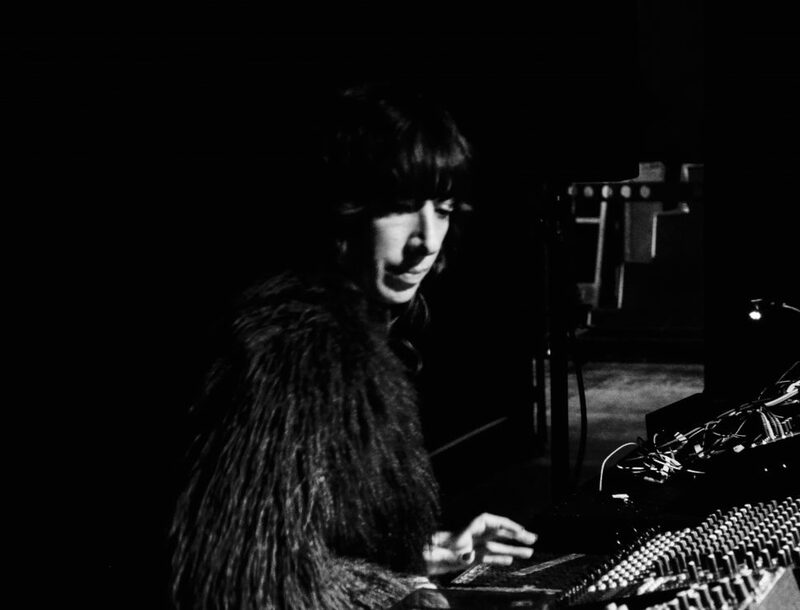 As a long-standing friend of Lady Gaga’s, Lady Starlight saw the tours not as a quick cash-in opportunity, but as a real chance to preach the gospel of techno to the uncoverted; bringing it to a fresh audience who may not have found it otherwise. Her sets for these tours were carried out with a full hardware setup (rather than the expected laptop / turntable DJ configuration), and served as a kind of “edu-tainment” initiative when taking to the mic and bringing attention to the most fruitful branches of techno’s family tree (Jeff Mills, Mike Banks, Steve Stoll, Joey Beltram and many others). This enthusiasm for bringing essential information to new audiences has led her to spotlight the qualities of intensity and emotiveness that electronic dance music shares in common with the cultures of heavy metal and progressive rock – something which places her in the very limited company of genre-bending DJs like Regis or Russell Haswell. Her DJ sets of NWOBHM [‘new wave of British heavy metal’] vinyl brought her to the attention of none other that Judas Priest, earning her a slot on their Epitath tour, as well as earning her the role of ‘after-show’ DJ on Iron Maiden’s triumphant return to the Download festival in Donington Park (this also saw her performing alongside ‘extreme metal’ trailblazers Anthrax, Slayer, Pantera and Megadeth). In 2012, she did live performance duties for Van der Graaf Generator, a touchstone of heavy prog beloved of left-field electronic artists like Merzbow, and one of the most successful progressive rock acts overall in terms of their appeal outside of their own musical style. One of Lady Starlight’s career highlights involved her performing in front of bandleader Peter Hammill during their performance at Twickenham Stadium in London. While this cultural cachet would be enough to give most individuals a lifetime’s worth of bragging rights, she still has her roots firmly planted in the fertile soil of techno. She has had her activities closely followed by major scene journals like DJ Times and Electronic Beats, and has had successful engagements at the scene’s most prestigious events: Berghain’s CTM, Krakow’s Unsound festival, appearances at the Boiler Room and much more. For three years now, she has also been involved in a live collaboration with renowned DJ / producer Anthony Child a.k.a. Surgeon, whom she struck up a friendship with after he was witness to one of the aforementioned ArtRave ‘shout out’ sessions in Birmingham. Having already provided live performance art for the British Murder Boys – the take-no-prisoners, sharp-edged duo of Surgeon and Regis – she now turns her attention towards a more explicitly musical partnership. She has also collaborated with Perc Trax mainstay Truss on a hybrid ‘decks & hardware’ live show, with Truss doing the Djing in a kind of role reversal between the performers. Another bold step forward is about to take place as she releases her debut record for Stroboscopic Aretfacts, Lucy’s sophisticated outlet for electronic music and art.